Have you seen Holly Fischer? "We are deeply worried about her," Fischer's friend, Larisa Markanian, told The Huffington Post. "She would not have taken off without contacting one of us. Something is terribly wrong." Crews searched on foot and by helicopter Friday in North Carolina’s mountains, looking for a 39-year-old Charlotte woman who hasn’t been seen since leaving her parent’s home Monday in Tennessee. Holly Fischer told her parents, Ted and Leslie, that she was headed home to Charlotte. She never made it, however, and authorities say they are focusing on Ashe and Wilkes counties, about 100 miles north of Charlotte, because her cell phone was used in that area as late as Thursday afternoon. “This is a complex investigation, being conducted by several law enforcement agencies,” Hillary Coward, a spokeswoman for the Knox County (Tenn.) Sheriff’s Office, said Friday. Authorities say Fischer used her bank card Monday afternoon at a convenience store on Interstate 40 in Newport, Tenn., east of Knoxville and along the route she always traveled between her parents’ home and Charlotte. She has not been seen since. Her roommate at a South End apartment called Fischer’s parents Wednesday when she had not returned, and the parents then contacted Knox County authorities. The Ashe County Sheriff’s Office says her cell phone was last used about 5 p.m. Thursday somewhere in the rugged, mountainous area near the Ashe-Wilkes county line. Searchers looked Thursday along N.C. 16 and the Blue Ridge Parkway, and the search expanded to the eastern part of the county Friday. There also have been no reported sightings of the car she was driving. Coward said Fischer’s father told Knox County authorities that he spoke with his daughter’s estranged husband, and he hadn’t seen or heard from her. Stafford said she finds it difficult to believe her friend would have decided to switch plans and head for the N.C. mountains -- unless she had been abducted. “If she were abducted, however, then anything is possible,” Stafford added. She said she hopes Charlotte-Mecklenburg police are involved in the search. The license tag of Fischer’s car is entered in a national data base, and many law enforcement agencies have the ability to “see” the license tags with their surveillance cameras. Fischer is described as a white female, about 5 feet 10 and 140 pounds, with blond hair. She was wearing a white blouse, blue jean shorts, and sandals. Fischer was driving a silver 2004 Infiniti FX35, with N.C. license tags XYH-6678. Anyone with information in the case is asked to call 911. Holly Fischer update: Murder, suicide or car accident? As of June 1, 2013 Holly Fischer remains missing, as day five of her disappearance begins. There aren't many true updates in the investigation to share, but her loved ones have taken to the media to express fears that she met some kind of foul play. However, some of her friends have expressed anger at the speculation that the woman (who was reportedly in an "emotional and upset" state) might have taken her own life. These are truly curious developments in the search for the woman who vanished somewhere between Tenn. and NC. Holly was reportedly last seen at a convenience store in Knox County, Tenn. shortly after leaving her parents' home in the area on Monday. However, cell phone pings have put her phone in the vicinity of Ashe County, NC -- in the mountains near her family vacation home. This is a beautifully rural area, but the remote location also serves as an obstacle in locating a missing person like this. That's because cellphone towers in these vast mountainous regions are more powerful than ones you find in metropolitan areas. That means even though she was pinged near one tower, she (or the phone) could be anywhere for several miles. It should be noted that nothing pertaining to this missing woman has been found yet. So it's likely that this missing woman made it from Tenn. to NC during her travels. However, what happened to her beyond that point is anyone's guess. It was earlier speculated here on Examiner that the woman could have possibly taken her own life -- but only in the form of a question that was based on the woman's own father's words. She was in an emotional state due to the crumbling of her marriage. Is it likely that this drove her over the edge? A friend of Holly's speculates herself that the phone could have been planted in the area to throw off investigators, but this is an area near her family vacation home. So what are her friends insinuating? This leads me to the speculation that foul play could be likely, but under what circumstances? It's said that her marriage was ending -- but under whose terms? Was her husband a violent man? Did he want their marriage to end or did she? There are far too many questions here that are not being answered in the media -- yet it seems that her loved ones are more comfortable with thinking she was murdered than believing she might have taken her own life, which is just as likely. It's also likely that she drove her car off a rural road while trying to make it home. Anything is possible at this point until more evidence is located. CHARLOTTE, N.C. -- Friends of a missing Charlotte woman say they have confirmed the last place she was before she disappeared. "We know that at 5:58 p.m. on Monday, Holly was in North Wilkesboro," said her longtime friend Liz Stafford Ajello. Park Police say Holly's cellphone was pinged on park property, giving search operations a more specified area to look. Fischer disappeared after leaving her parents' home in Knoxville Monday, heading to Charlotte. She never arrived. Fischer's roommate contacted her parents Wednesday, and friends like Ajello have been searching ever since. Ajello has been working with police to track her down. A police review of Fischer's cell records show she drove east on I-40 from Tennessee, then unexpectedly changed directions at I-77, said Ajello. "We now know she, for some reason, made a turn and instead of going south, she went north on I-77," said Ajello. After turning north on I-77, Fischer's cell turned north on U.S. 421 and heading back towards the mountains. The last "ping" was detected near Wilkesboro, about 20 minutes from her parents' mountain home in West Jefferson. That is where Ajello said she and friends started their search of nearby roads on Sunday. People met at the McDonald's on U.S. 421 at Hwy. 16 at 9:30 Sunday morning. "We are going to search all day, " said friend Nicole cooper "...as long as the sun allows. Then we'll go back out tomorrow if we have to." Another group of searchers, some who they don't know, will meet them along the way. "This is great so many people are helping out to find Holly." said Cooper. The group took flyers of the missing 39-year-old woman to hand out in the area. Meanwhile, another group of friends is assembling in Charlotte at the same time. They will be searching the mountainside around Fischer's parents' home in West Jefferson. "We are ready to go down and search in the deep terrains," said Georgia Bush. "We have people who have ideas of where she could be and we're just going to follow those leads." The Charlotte friends are meeting up at the Food Lion on Mt. Holly-Huntersville Road and WT Harris Blvd., near Northlake Mall, at 9 a.m. Sunday. Fischer's friends have started a Facebook page called, "Missing: Holly Fischer: CLT area," which already had more than 1,500 "likes" in one day. They will be updating any friends who want to join the search on the Facebook page all day Sunday. Ajello believes finding Fischer's car is the key to finding her. 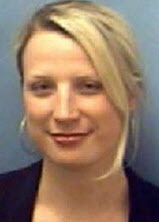 Fischer was driving a 2004 dark grey Infiniti FX35 crossover-SUV type car when she disappeared. It has a North Carolina tag, XYH 6678. "We need Holly's car. We have got to find her car. If we find her car, we find Holly," said Ajello. "We've gotta bring our girl home." The Knox County, Tennessee, Sheriff's Office is the lead investigative agency on this case. Anyone with information should call them. Breaking news people!!! It should have taken holly FOUR hours to reach wilkesboro, NC. Holly should have reached wilkesboro at 4p, HOWEVER holly's ping in wilkesboro was at 5.58pm. We are missing TWO HOURS of time. We need to share this immediately, as this breaking news makes us feel there was DEFiNITeLY FOUL PLAY!!!!!!! WILKES COUNTY, N.C. — The Ashe County sheriff told Channel 9 they have found a car in Wilkes County that is connected to a missing Charlotte woman. It has been a week since Charlotte woman Holly Fischer disappeared. A motorcyclist had pulled off the side of the road Sunday and noticed it looked like a car went off the road. That driver notified police, who found the car down a steep embankment. Authorities are still investigating and have not pulled the car out yet. Police said Fischer was driving a gray Infiniti SUV with NC license plate XYH-6678 when she disappeared while driving home to Charlotte from Tennessee. Channel 9 reporter Dave Faherty is at the scene in Wilkes County and will have more details on Eyewitness News Midday at 12 p.m.
On Sunday, police, friends and family spent all day searching Wilkes County for clues. Following the search, police said there were no signs of Fischer. Friends said they had no plans to search again Monday, but they're still not giving up hope. Sunday morning, dozens of volunteer searchers met all with one purpose: Find Holly Fischer. "We are willing to do whatever it takes to bring her home," said Nicole Cooper, a friend of Fischer. Among the searchers were Fischer's friend Liz Ajello and her husband, Scott Ajello. "It's been tragic," said Scott Ajello. "It's devastating to everybody." If you have seen Fischer or her car, you are urged to call 911. A Twitter page dedicated to finding Fischer was created. Follow the feed @FindHollyF. It appears that Wilkes authorities have found the car—and maybe the Charlotte area woman—missing a week today. Ashe Sheriff James Williams said that a motorcyclist pulled of NC 16 last night and noticed tracks where a vehicle obviously left the road. Searchers followed the path to a wrecked car—heavily damaged according to the sheriff—and reports indicate that they may have found someone in the car. That information is somewhat tempered by Wilkes dispatching new crews of searchers, gathering at the Wilbar Fire department just down NC 16 for a search today. Holly Fischer’s friends gathering at the McDonalds in Wilkesboro to search for Fischer’s car yesterday, but helping Ashe and Wilkes law enforcement turned up no new leads. Fischer, 39, was reported missing Wednesday after she didn’t arrive at her roommates home. Her roommate called her parents, then police, saying she never made it to Charlotte. That led to an electronic search for her cell phone, which ‘pinged’ a signal in Ashe County Thursday, more than 100 miles from where she was last seen—but in an area where her parents have a property. A search along the Blue Ridge Parkway was launched Thursday afternoon by Ashe law enforcement and rescue, but Sheriff James Williams said that the signal first placed the phone near the Blue Ridge Parkway near NC 16, then ‘pinged’ on the Wilkes side of the Parkway. Then the signal was lost. Her bank account was last used last Thursday in Tennessee along her normal route back to Charlotte, her cellphone sometime after 5 last Thursday in the area where the car has now been found. I think she was going wayyy to fast in those mountains..probably had a lot on her mind and plummeted to her death. So SAD!! The Fischer family can now confirm that Holly Fischer’s car has been located. The car was located off Highway 16 in Millers Creek, NC. It is with unbearable sadness that we can also confirm that she was not found alive. Our hearts are broken. The family does wish to express their tremendous gratitude to the countless volunteers and authoritiesthat have participated in the search for Holly. Without your tireless efforts, we believe Holly Fischer may not have ever been found. We are all devastated to lose our beautiful daughter, sister and friend. We do ask that everyone respect the family’s privacy at this difficult time. This is so sad, especially since no one (apparently) was on the road at the same time as she was to get help! Yes! and from the ping information it sounds like she used her phone. Whether she was text-sing and went off the road or went off the road and tried calling for help... either way it's very sad. That motorcyclist could have pulled over anywhere on that highway... Fate stopped him right where Holly went off the road. Authorities have recovered the body of Holly Fischer, a missing North Carolina woman whose car was found at the bottom on an 800-foot embankment Sunday night. Investigators had been searching for Fischer since last week, when she left her parents' home in Knox County, Tenn., presumably for her home in Charlotte, N.C.
"It is with unbearable sadness that we can confirm that she was not found alive. Our hearts are broken ... We are all devastated to lose our beautiful daughter, sister and friend," Fischer's family said in a statement posted to a Facebook page created to share information on the case. According to the Wilkes County Sheriff's Office, a family friend who was searching for Fischer contacted authorities Sunday night and told he spotted car tracks going off the road in an area off N.C. 16 in Millers Creek, N.C. When investigators arrived at the scene they spotted Fisher’s 2004 Infiniti SUV at the bottom of a 800-foot ravine. Rescue personnel who attempted to rappel down the steep embankment Sunday night had to abandon the attempt due to "rough terrain and darkness," a sheriff’s office official said Monday morning. The search resumed at 8 a.m. Monday, at which time rescue personnel were able to reach the vehicle and recover Fischer's body. Family members of Fischer reported his missing on May 29, when she failed to make it home after spending the weekend with her parents. The only clues to Fischer's disappearance was bank records that indicated she had stopped at a store in Newport, Tenn., and cell phone records that indicated her phone had pinged a tower Thursday, along N.C. 16. Using the cellphone data, police focused their search on Ashe and Wilkes counties, but were unable to find any sign of Fischer or her car. The search was suspended late Friday. Friends and family members continued the search over the weekend. According to the Fischer's close friend Larisa Markanian, Fischer was emotional and upset when she left her parents' home because of a divorce she was going through. "She was under duress. Before she left her parents, she received a message from her ex that he wanted her to return home, 'effective immediately,' to turn over her car. That text upset her. She was angry and frustrated," Markanian told The Huffington Post on Friday. According to the sheriff's office, Fischer's death is under investigation. OMG!! Look at what was left of her car! I think she was at her husband..or ex or whatever they were and maybe was texting as well? The car didn't just roll down the slope. It obviously tumbled down that embankment, front, back, right, left and top all substantiated damage. Very sad she died like that.